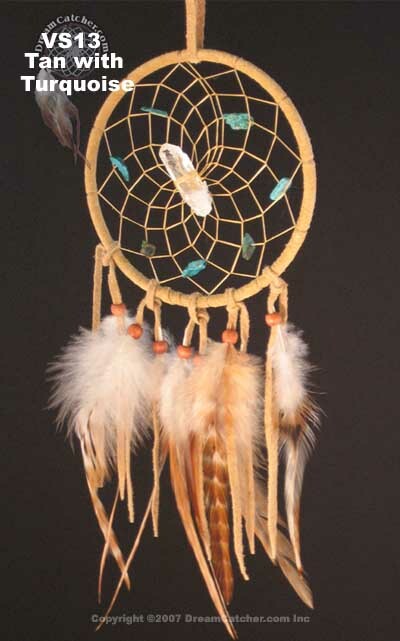 This 4 inch dreamcatcher has a quartz crystal at its center, semi precious stones in the web and bead capped feathers accenting it. 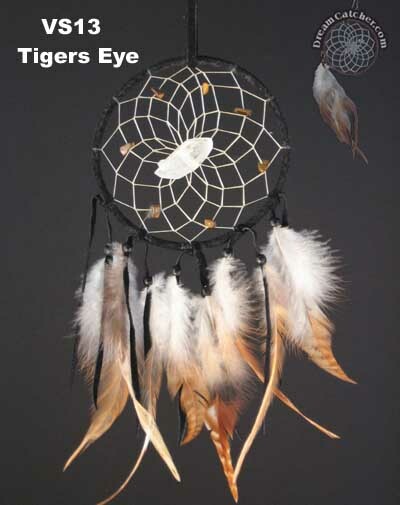 The Vision Seeker Dream Catchers are designed to capture bad dreams in the web, and allow good dreams through. The quartz in the center of the web assists in removing negative thoughts. 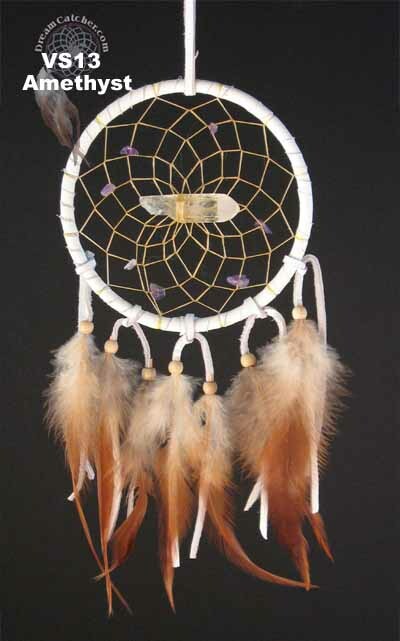 The semi-precious stones in the web enhance spiritual communication and guidance.